A friendly wooden robot, powered by a playful programming language you can touch. A friendly wooden robot, powered by a playful programming language you can touch. NO COMPUTERS, TABLETS or SMARTPHONES required. Montessori approved, and LOGO Turtle inspired. 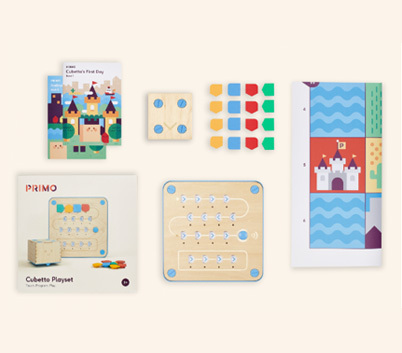 Inside Box- 1 Cubetto, 1Board, 16 Blocks, 1 World Map & 1 Story Book.